To Be Or Not To Be – Dystop-Ai – Could Terminator Really Happen? Latest great guest post by Aidan McCullen Senior Partner: Imagination and Strategy with @Katawave Digital, Media & Business Imagination Strategist, admire #changemakers,#digitaltransformation, host @TheInnoShow. In 1942, science fiction writer Isaac Asimov introduced the “Three Laws of Robotics” in his short story ‘Runaround’ (this formed the basis for the movie iRobot with Will Smith). Terminator – Science fiction or Science Fact? When you mention the movie ‘The Terminator’ most people think of Arnold Schwarezegger, the “I’ll be back” catchphrase and the great endoskeleton robot. When you mention AI most people think of computer programmes that help with mundane computer-based tasks. Imagine the writer/director of ‘The Terminator’ James Cameron had opted for computer programmes, which launch cyber attacks instead of armies of human terminating robots. It is highly unlikely ‘The Terminator’ would have been such a box office hit. We sometimes need a more tangible example to have a point realised. In fact, the rise of the machines is so gradual that so many of us are still not aware of the “boiling frog”. 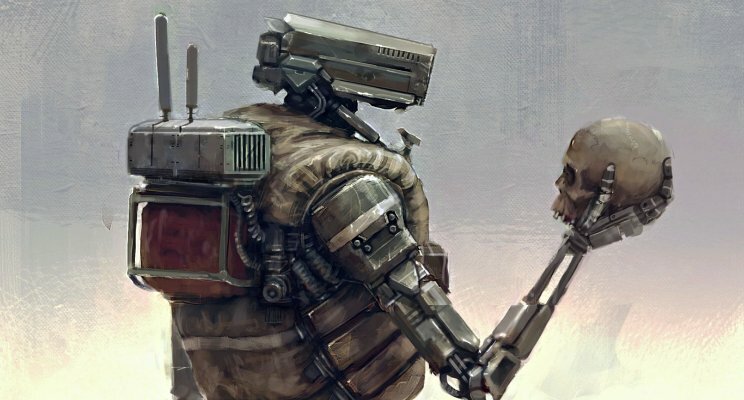 AI rebellion will (most likely) not come in the form of a physical robot warfare. What is much more likely is what we witnessed recently in the recent (May 2017) massive global WannaCry ransomware attacks. This is why the NSA are so concerned with data, wars will no longer be won or losr with guns and bloodshed. Arms are no longer the weapon of choice, data is the price of admission to the next battlefield. It won’t be nuclear bombs, but logic bombs (code intentionally inserted into a software systems to cause mayhem. The world is being digitised: paper records, voice records, health records, music files…everything. When we couple mass digitisation with widespread wireless connection and the internet of everything, then the entire world becomes a giant brain. Like brains it will be connected. Like brains it will control its host. In certain cancers the bodys cells start attacking the body itself. Fast forward to when the world’s information, devices, drones, airplanes, cars, wearables are fully connected as one giant brain. Then imagine that this brain is autonomous and operates independent of humans. What if it becomes self-aware and the brain fights the body which hosts it and the humans in the way? Most AI initiatives involve training the AI slowly, with machine learning many researchers still want to know what is going on inside “the black box”. Handing the task over to the machine is great, but we need to be aware that we don’t hand everything over to the machine. Here is a plausible ‘Terminator’ scenario. Let’s take Ed Snowden, who exposed that the NSA was/is tracking data across all major Internet providers, Skype, Yahoo, AOL, Google, YouTube, Facebook and Apple. If you show you on the radar as suspicious they track you, those who are linked you and those linked to those who are linked to you. That is a lot of “connected” data, that is one hell of a machine “brain”. Imagine if that “brain’ took over, like Skynet did? Imagine it could commandeer fleets of attack drones, Amazon drones, connected vehicles, connected health wearables, smartphones, connected appliances…everything. Now, imagine the new leader was not human, it was AI. Now, imagine the new leader was not friendly, it was hostile. Just because we can do things with technology doesn’t always mean we should. One key question should always be at the heart of everything we do: “Why?”.